You know… I haven’t even been to the original Perchoir. But I don’t care at this point, the Perchoir Marais suits me just fine, and the only time of year I really want to be on a rooftop terrace is in the Summer (or early Fall I suppose). And I love, love, love the Marais location of this terrace, so why do I need to trek all the way over to the 11th when I can head to the heart of Paris!?! Pour les français : Bambi In Paris a écrit un billet sur le Perchoir. 250 square meters of beautiful view terrace in the absolute heart of the city. A bar covered with a pretty white tent, and lovely outdoor light garlands, wooden crate benches, bars and seating make a delightfully industrial setting. The vision of the stunning rooftop of the Mairie de Paris and the Eiffel Tower beyond it is a breathtaking view to behold. Cocktails, a DJ, a view…what else could you ask for from the summer!?! 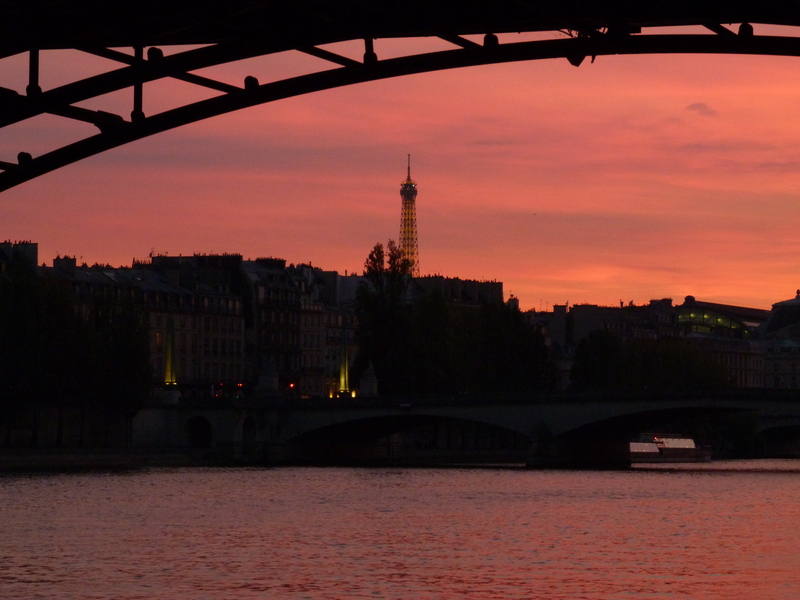 Mingle with the trendy types of those remaining Parisians int he city of lights. A few of them may stick around for the balmy weather months. Chérie and I will be anyway. So you may very well run into me on occasion, getting my fill of a great view. I was there the other night with a few friends, talking over wine, sharing stories and support for one another, and then the icing on the cake : watching the Eiffel tower sparkle at 11pm and then again at midnight… I never, NEVER get tired of it!